With the end of year celebrations well and truly underway, SIHH 2019 will soon be rolling around the corner. And I, for one, cannot wait. 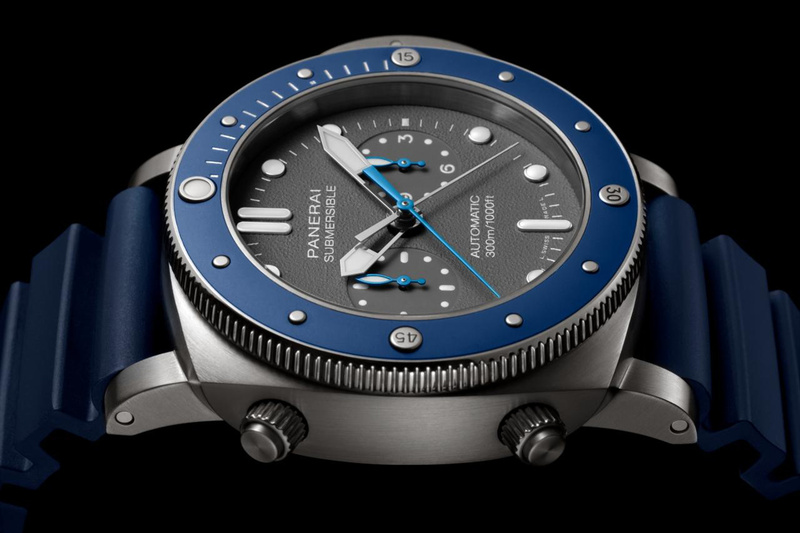 Especially as the fair’s pre-releases are already whetting appetites with enticing novelties like this brand-new version of Panerai’s Submersible Chronograph – otherwise known as the PAM00982 for all you reference number heads out there – with a design inspired by French freediving champion Guillaume Néry. Needless to say, this is one that’s built for the underwater world. A world that Guillaume Néry has championed, breaking four constant weight freediving world records as well as being twice crowned world champion. Retiring from the sport, Guillaume now dedicates his time to sharing his passion for the sea with others, creating stunning imagery and films of his underwater experiences. 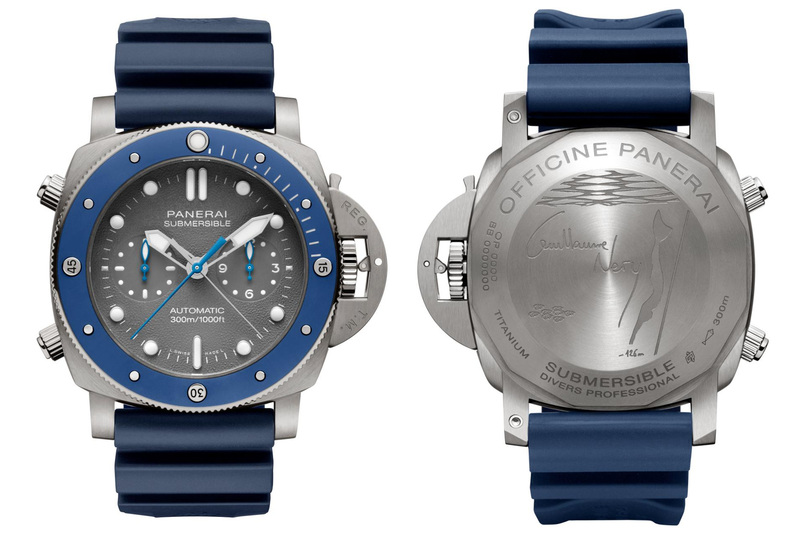 It’s this love for the ocean that Panerai have instilled in their latest release. Water resistant to 300 metres, the 47mm titanium case features the distinctive Panerai crown lock, as well as dual chronograph pushers that sit opposite on its left, to gently balance the design. 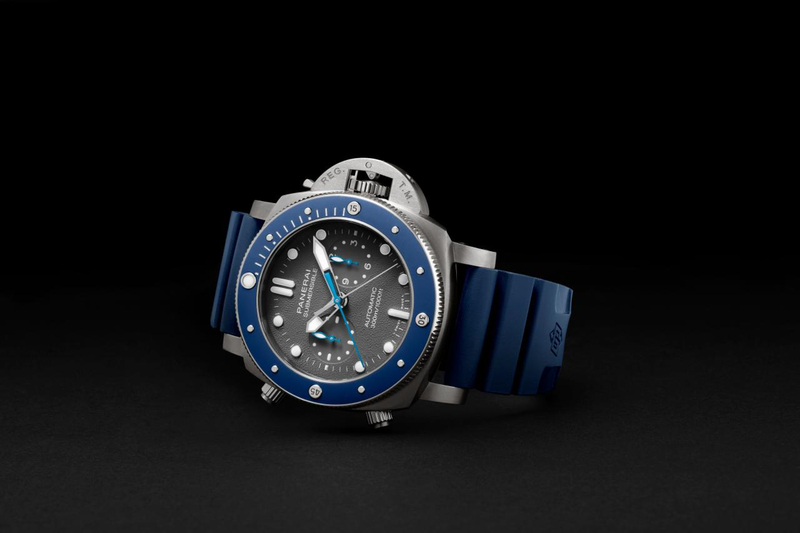 A unidirectional rotating bezel then tops the case in a matching titanium construction with an applied blue ceramic insert that mirrors the blue hands of the subdials for the running seconds (9 o’clock) and the chronograph hours (3 o’clock), as well as the slim central chronograph seconds hand. The other thin silver-coloured central hand indicates the chronograph minutes, while central skeletonised hands tell the main hour and minutes. Legibility in even the darkest depths shouldn’t be a problem either, with the applied luminous white hour markers and hands shining bright against a textured shark grey dial. While on looks alone, the PAM00982 is already a tempting proposition, mechanically it’s even more. A precision chronograph with flyback functionality, it’s easily reset and synchronised at the push of a button thanks to the Panerai P.9100 automatic calibre inside. Entirely developed in the Laboratorio di Idee, Panerai’s high-quality watchmaking manufacturer in Neuchâtel, it features a Glucydur balance and two barrels to deliver a pleasing power reserve of three days. Integrated perfectly with a blue rubber strap and trapezoidal titanium buckle, the solid titanium caseback is also engraved with the record-breaking freediving champion’s signature as well as the depth of his final personal best dive of 126 metres on a single gasp of air. 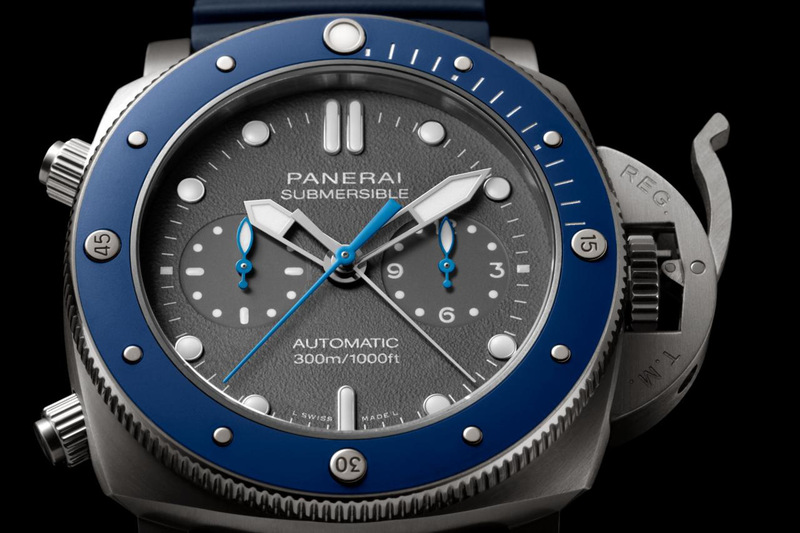 A truly breathtaking feat marked on an impressive Panerai diver.